Provide comfort for the family of Connie Braun with a meaningful gesture of sympathy. 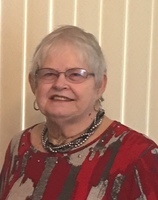 Connie Sue Braun, 71, died Wednesday, April 10, 2019 at St. Catherine Hospital in Garden City, Kansas. She was born July 20, 1947 in Boise City, Oklahoma the daughter of Louis Zirkel, Sr. and Bonnie (Collins) Zirkel. Connie grew up with her family in Garden City, Kansas. She attended Garden City schools and graduated from Garden City High School in 1965. She then attended Garden City Community College. On March 16, 1968, she married Richard L. Braun in Garden City. They lived in Chicopee, Massachusetts for a short time before moving to Deerfield in 1970. They have lived in Deerfield since. A farm wife and homemaker for most of her life, Connie also worked as a bank teller in her early years, and later worked for many years for Deerfield schools where she retired in 2013. She was a member of Christ the King Catholic Church of Deerfield, the Capsula Club of Deerfield, she served for many years on the election board, and also served as a scout leader. Connie enjoyed puzzles and games, telling jokes, watching her family member’s sporting events, and was an avid KU basketball fan. Survivors include her husband Richard L. Braun of the home; four children Bonnie Bribiesca of Holcomb, Kansas, Elizabeth Dillinger & husband Brent of Missouri Valley, Iowa, Lisa Braun & wife Susan Cooper of Lawrence, Kansas, and Jeff Braun of Fremont, Nebraska; a brother Dennis Zirkel of Wichita, Kansas; two sisters Diana Pfeifer of Holcomb, Kansas and Donna Batt of Pueblo West, Colorado; six grandchildren Jon Dillinger of Lawrence, Kansas, Patrick Dillinger of Missouri Valley, Iowa, Timothy & wife Rebekah Dillinger of St. Louis, Missouri, Wesley Dillinger of Missouri Valley, Iowa, Sarah Dillinger of Missouri Valley, Iowa, & Jescie Bribiesca of Holcomb, Kansas; and numerous nieces and nephews. Connie is preceded in death by her parents and a brother Louis Zirkel, Jr.
A vigil service and rosary will be held at 7:00 p.m. on Sunday, April 14, 2019 at St. Anthony Catholic Church in Lakin, Kansas. Funeral Mass will be held at 10:00 a.m. on Monday, April 15, 2019 also at St. Anthony Catholic Church in Lakin with Fr. Peter Tran as Celebrant. Burial will follow at the Deerfield Cemetery in Deerfield, Kansas. Friends may call from 2:00 pm. to 8:00 pm. on Saturday and from Noon to 5:00 p.m. on Sunday all at Garnand Funeral Home in Lakin, Kansas. The family suggests memorials given to The Assistance Fund (Pulmonary Hypertension Copay Assistance Program) in care of Garnand Funeral Home of Lakin. 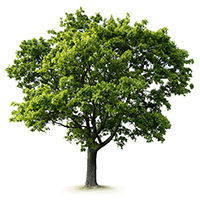 To plant a memorial tree in honor of Connie Sue Braun, please visit our Heartfelt Sympathies Store. My sincere sympathy to the Braun family on Connie's passing. She had a very lively personality and I enjoyed knowing her and all of you during the years we were in Deerfield (1992-2003) and at Christ the King Parish. May she rest in peace. I will forever hear that wonderful laugh and remember the sparkle she left everywhere she went. 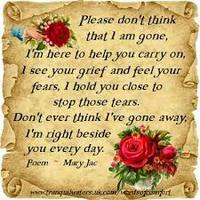 Richard, Betsy, Bonnie, Lisa and Jeff you are all in my heart, thoughts and prayers. To the amazing Braun family, our prayers go out to you in this time of mourning. We hold you all in our heart and hope you find peace as your hearts heal from your loss. We plant this tree in honor of Connie. May her spirit continue to spread hope, love, and happiness to all!